The BSC Annual General Meeting will be held on the second Wednesday of June every year. Kernodle Senior Center on Mebane St. in Burlington. This year there are three (TBD) board member positions up for election. If you are interested in volunteering, please submit your name to a current board member via email to be listed on the voting ballot. In order to be board member, you must be a paying member of the club (i.e. 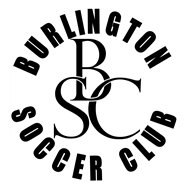 you are paying dues for your child to be part of Burlington Soccer Club). Please contact a current board member for more information regarding the commitment and needs. In order to have a quorum at the meeting we need to have at least 10% (roughly 30 members) of our membership community present. We will hold our Registration Night just before the meeting for those that need to try on uniforms and upload their required paperwork to our website.